I was PLEASED to see the article on the Osage Minerals Council in which they voted to sue the Osage Nation over Mineral Estate Ownership. I was not happy to see the vote was 4-3 in favor as I would have been much happier to see 7-0 in favor to sue. I am also glad the suit will be based on a legal opinion from an established law firm and not an option from Osages that are not shareholders. When the Original allottees or their legal descendants voted on the new government is was with the clear understanding that there would be a separation of legal authority over what the Osage Nation (Congress) could say about the mineral trust and vice versa. 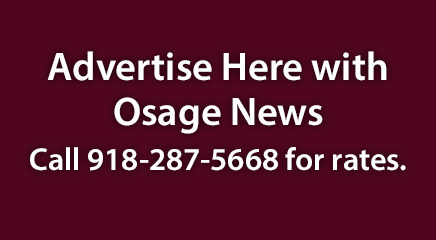 There was a real concern that the individuals that became the new members of the Osage Nation would eventually attempt to share in the benefits, either land rights or mineral wealth, of the Osage land. Now, based on my understanding of the law, I felt as does Minerals Councilwoman Erwin, but I would state it a little differently. Simply said, the Minerals Estate is property owned by the shareholders because the original land and minerals therein were purchased for and by the original allottees of the original tribe, using American money and under the existing property laws under which the United States of America courts are governed. So, if that principle needs to be clarified once again, let’s do it quickly and put this slippery slope to bed once and for all.